NintenGen: Metroid Prime 3: "Proves the Wii is far more powerful than Gamecube"
Metroid Prime 3: "Proves the Wii is far more powerful than Gamecube"
" Metroid Prime 3: Corruption Definitely stole the the show. The graphics looked amazing -- better than Halo 2 on the Xbox without a doubt -- and the levels showed off sparkling details, proving the Wii is far more powerful than the Gamecube. Out of all the games we played, the Wii controller seemed most at home with Metroid." This article was posted today at Gamepro.com and it is kinda strange to just pop up like this. Maybe this was from an older play test of the updated version of Metroid? It must have been because I know that previous play tests of the game did not impress the press as much in graphics as this one has. My only question is, why aren't the other sites posting stuff about their play tests? Strange, I'll keep you all posted as to what happens next. 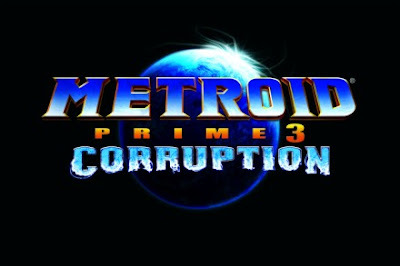 Metroid Prime 3... will be the game to let 3rd party developers like Ubisoft know what the Wii can do graphically and with excellent AI. It's plausible since there have been numerous reports of Retro Studios giving the graphical engine an overhaul, and it should provide a shining example to developers of what the Wii can do if Capcom doesn't beat them to it with Resident Evil: Umbrella Chronicles. defended no lack of graphics in this game. I can't wait for game and others in (07) like it. Unfortunately, this is old news tacked on for a print publication. There have been no uber-secret Nintendo-press events as of late, discluding the World Fair thingy in Japan. Maybe GamePro and Game Informer had a one-on-one with Retro, or maybe the source disclaiming this info (1UP staff) are just wrong. It did seem strange like I said in the topic post that only Gamepro posted this preview. I do think that this game will have an online component, but for what purpose I'm not sure yet.